The violin holds special importance to me as part of my upbringing in Detroit, both as part of the musical world of my Jewish community and as an example of the citywide belief in music education. The Detroit that I grew up in had a pulsating inner musical life from the many populations that Detroit attracted to and housed in its vast industrial landscape. For the Jews, the violin literally had a special resonance. It was the lead instrument in the traditional klezmer dance bands for weddings. In the east European homeland, people thought the fiddle had unusual power as an expressive vessel. It was not just an instrument, but a voice, a tool for meditation in the slow pieces played around the tables at a celebration. Then the fiddles kicked in and got people up and dancing. As the older folkways faded, the enormous success of Jewish virtuoso concert artists like the ones I heard at Masonic Temple only raised the violin to a new height of enjoyment and pride. Another example of how the violin was important in my Detroit is the way that music cut across social boundaries. It wasn’t just me that picked up the violin; across the city, in every neighborhood, elementary schools handed out instruments to small children, often setting up a career for life that way. That child could be Armenian, African American, or Appalachian in family origin. In my research, I’ve talked to the Kavafian sisters, who have had impressive concert careers, and Michael Ouzounian, principal violist for the Metropolitan Opera Orchestra for decades, representing the Armenian story. In fact, they were taught by another compatriot, Ara Zerounian, who became the Kavafians’ stepfather. In the famous Cass Technical High School Orchestra, I shared a stand with Darwyn Apple, a pioneering African American orchestra player who had a long career in St. Louis. Also near me were the Barnes Brothers, Robert and Darrel, who worked in the Boston and Philadelphia Orchestras later. Their family was from Louisville, and even their mother was a rare woman professional musician in Detroit. The educational system believed in music as not just a leveler, but a career path in those days. So despite all the roadblocks Detroit’s charged and often violent streets put up, there were still green lights at some intersections of experience. The public school system in Detroit had a long-term effect on the dozens of children who went on to active lives in music from Detroit. I think of it as a traffic circle: people come from many directions, spin around the circle, and go off at different angles to various destinations. Some musicians, like those I just mentioned, got on a career highway that might well take them away from Detroit, whereas others went back to their neighborhoods, becoming, for example, major polka band leaders who could use their skills in ensemble and arranging within their communities. 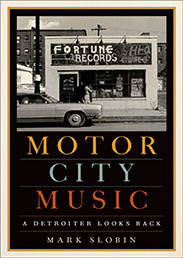 It’s one of the fascinating and little-known stories about the musical life of Detroit at its peak of civic striving. Image credit: used with permission of the author. Here’s my great-uncle Maurice/Moishe (depending on context), who came to Detroit in 1912. 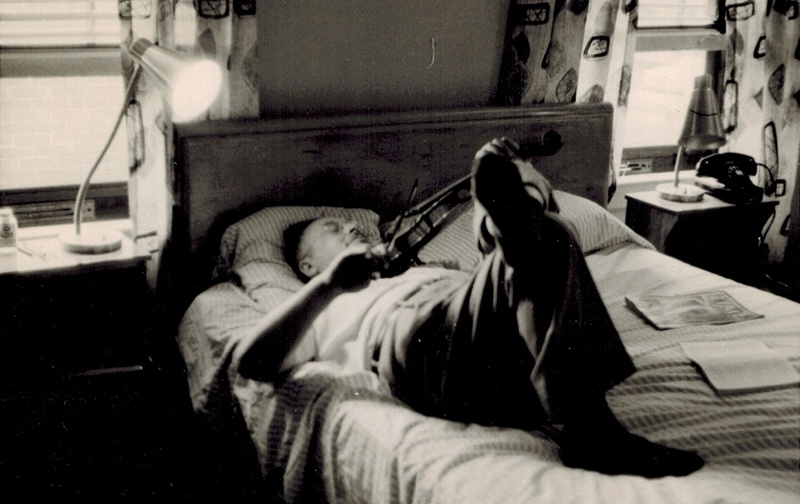 He loved the classical violin, but making a living as a salesman didn’t leave him much leisure time. He took me to concerts by the world’s greatest artists – Mischa Elman, Jascha Heifetz, Nathan Milstein, and the rest. He also took me to Detroit Tigers games. The combination of classical music and baseball marks the American Jews of his and the next generation. Here’s my father, born the year before Uncle Moishe arrived in Detroit. He was supposed to play the violin, but they didn’t have Suzuki in those days and he got discouraged fast. You can see by his position that he isn’t taking the fiddle seriously. I inherited his 1920s violin and recently donated it to a public-school program in New York City for kids that can’t afford to buy instruments. And here’s the self-explanatory picture (thanks for the captions, Mom) of me at age four, happy to be starting my lifelong journey with the violin. Going to those recitals, even at such a tender age, inspired me, and we had a great family friend, Ben Silverstein, who somehow got me going on a one-quarter size instrument. His son became the concertmaster of the Boston Symphony, so I guess Ben knew a thing or two about teaching kids. Tragically, he was killed in a car crash only five years later (no seat belts back then), but I continued with other teachers, three of whom, all in the Detroit Symphony Orchestra, later moonlighted for Motown. A couple of those classical fiddlers also put on other outfits to play in a Latin band. It was all part of the musical merge that so marked Detroit’s history in its heyday. Featured image credit: Requiem by Cameron Mourot. Public Domain via Unsplash. Mark Slobin was born in wartime Detroit and grew up with classical and folk music backgrounds. His early work on folk music of Afghanistan shifted to studies of Eastern European Jewish music in Europe and America, film music, and theory of ethnomusicology. He spent his career in Wesleyan University's renowned ethnomusicology program and is retired in Manhattan. He is the author of Motor City Music: A Detroiter Looks Back. I just learned of the publication and am anxious to read it. 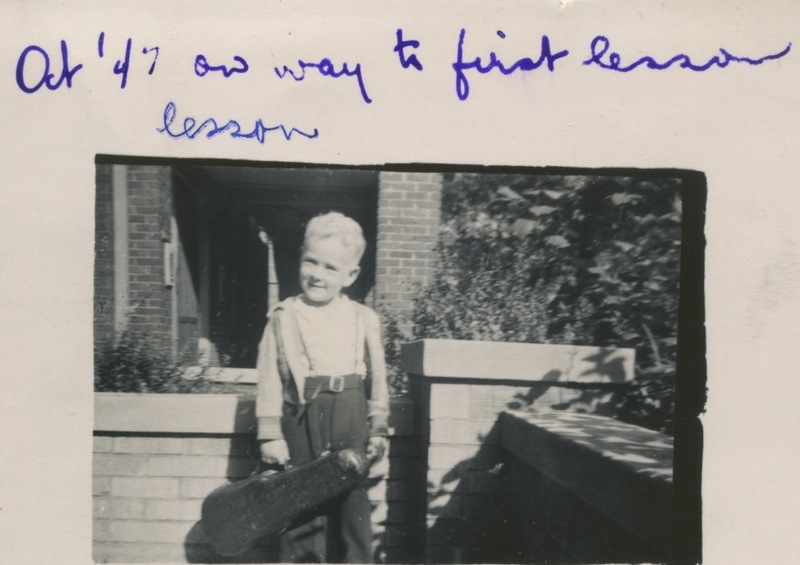 When Darwyn Apple’s teacher, Jack Boesen (a violinist with the Detroit Symphony) was away, my mother would fill in. She didn’t charge. I remember hearing of Joe Silverstein. 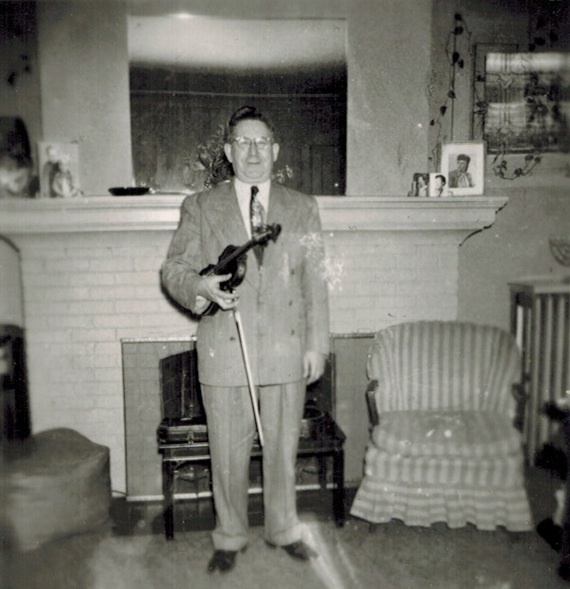 My parents moved to Detroit in 1946, into a warehouse on the river whose previous occupant was composer Bernard Heiden. Ben Silverstein was the first teacher to both of my brothers.